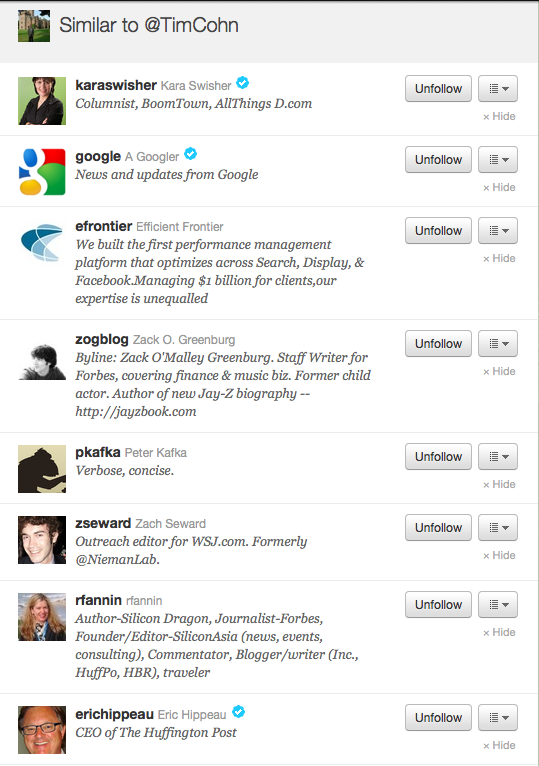 How does Twitter calculate its “Similar to” lists? I have no idea how they arrived at the list of who I am “similar to”. Apparently Twitter thinks I am similar to the people listed above. This entry was posted on January 12, 2011 at 7:29 pm and is filed under Similar To Lists On Twitter. You can follow any responses to this entry through the RSS 2.0 feed. You can leave a response, or trackback from your own site.